Sydney Lunar Festival curator Valerie Khoo says the tasty dishes to welcome good fortune, dynamic dragon boat races and stunning Lunar Lanterns are her top picks for the Year of the Pig celebrations. As an artist, writer and founder of the Australian Writers’ Centre, Ms Khoo has already helped bring a creative spark to the next generation of young Sydneysiders. Now, she is set to inspire the 1.4 million visitors expected to join the Lunar New Year celebrations underway until 10 February. 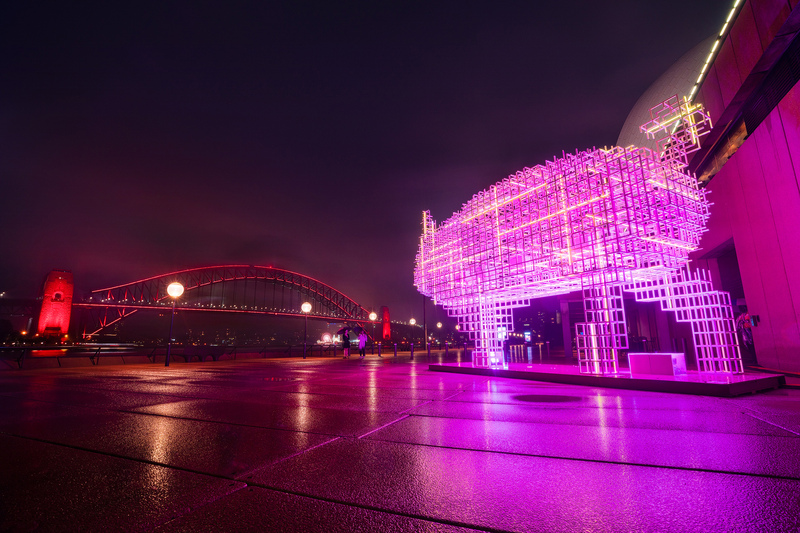 “I’m passionate about how art can engage people and bring the community together, particularly in a celebration like the Sydney Lunar Festival. I believe Sydney is the best city on earth and I want to contribute to its cultural fabric in some small way,” Ms Khoo said. 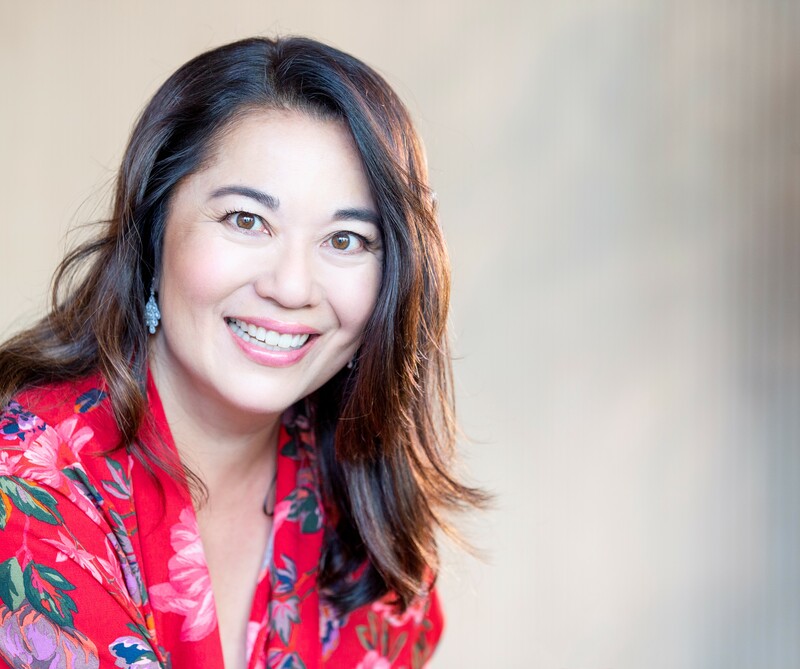 “With a background as a writer, I'm also committed to adding an extra layer of storytelling to the festival, so the voice of Asian Australians – and all those who celebrate Lunar New Year – can come to the fore. One of Ms Khoo’s festival highlights is the spectacular Lunar Lanterns exhibition featuring 12 giant lanterns designed by acclaimed Asian-Australian artists and representing the signs of the Chinese zodiac. “Seeing these incredible lanterns line Sydney Harbour brings back many happy childhood memories for me. And they are representative of Australians in so many ways – different people with so many different stories,” Ms Khoo said. “I was four when my parents migrated to Sydney from Singapore, and I brought with me a little red Chinese lantern that looked absolutely beautiful with a candle glowing in it. I always think of this when I look at the giant lanterns around Circular Quay for Lunar New Year, and my heart just warms. Also attracting crowds will be the biggest dragon boat races in the southern hemisphere. Representing community groups from across Sydney, the races are expected to attract more than 100,000 spectators to Darling Harbour to watch 3,000 paddlers battle it out on Saturday 9 and Sunday 10 February. “I just love the dragon boat races – the intensity, the competitive nature of it, the beats of the drums, the adrenalin. It’s great to see that right on the water in the middle of our city,” Ms Khoo said. “It’s so exciting to see so many teams battle it out to become champions, kicked off by lion dances and a Taoist blessing of the waters. “And of course, it wouldn’t be Lunar New Year without getting together with family and eating plenty of fabulous food. 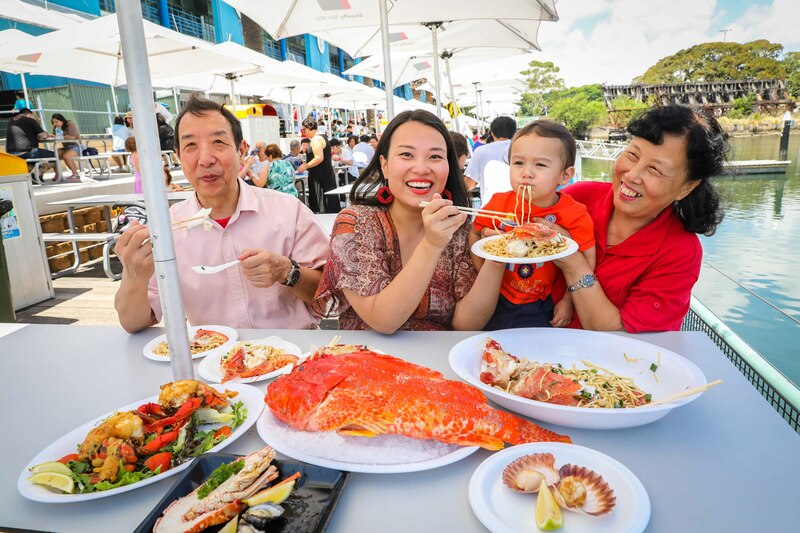 Visitors can create their own lo hei at Sydney Fish Markets, which opens for evenings during the festival with its boardwalk decked out with lanterns and plenty of special seafood dishes on offer. Lord Mayor Clover Moore said: “The Sydney Lunar Festival has evolved from a small celebration in Chinatown to a city-wide series of events. “Our Sydney community is made up of people from a range of cultural backgrounds, and this diversity results in the largest celebration of Lunar New Year outside of Asia. “Our Lunar New Year program is made up of more than 80 events including art, food, performance, workshops, dragon boat races and even a dumpling world record! “I’m looking forward to the celebrations and encourage everyone to join us in ringing in the Year of the Pig” the Lord Mayor said.